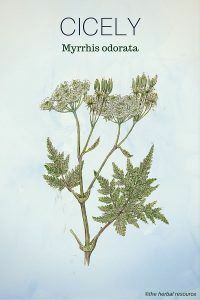 Other Common Names: Sweet chervil, great chervil, sweet cicely, smooth cicely, British myrrh, cow chervil, shepherd’s needle, sweet bracken, Spansk körvel (Swedish), Süssdolde (German), perifolo (Spanish), cerfeuil d’Espagne (French). 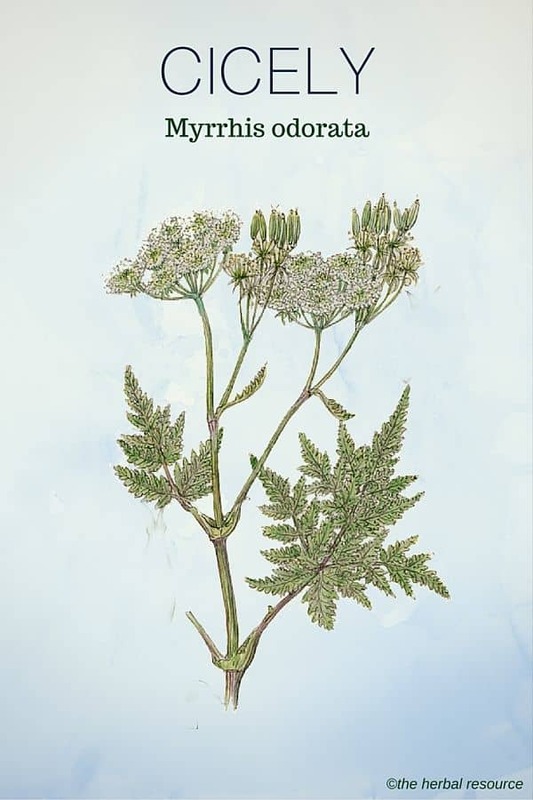 Habitat: Cicely is originally native to the mountainous areas of Central and Southern Europe but has spread far beyond its native range and has become naturalized in many places with proper climate (zones 3-7). Cicely thrives best in half shade or in full sun and prefers moist and humus rich soil. The plant is propagated by seeds that are preferably sown as soon as they are ripe, as they quickly lose their germination capacity. The seeds also require several months of cold to germinate and germination can take a long time. The plant, however, self-sows readily. Since the plants are quite large, they should be planted with plenty of space between them. Description: Cicely is a perennial plant that belongs to the celery family (Apiaceae). It has a sturdy taproot and furry hollow stems that can reach over one meter in height. The leaves are bright green, large, feathery and triangular with serrated edges. White spots usually appear on the leaves as the plant ages. The plant is in full bloom from May to June. The flowers are white and star-shaped and when they are fertilized they turn into ridge-like fruits (seeds) that are initially green, but soon after become shiny and brown-black. The flowers are very attractive to bees and butterflies as they are an excellent source of nectar. Plant Parts Used: It is the leaves, roots, and seeds that are used as a spice, food and herbal medicine. The leaves should be picked during the growing season and used fresh or frozen down for later use. The roots should be dug up in spring or autumn and used fresh or dried for use in decoction. The seeds are picked while they are green and used fresh. When the leaves or the immature fruits are crushed they give away distinctive smell or aroma similar to that of anise (Pimpinella anisum). To preserve the flavor of the leaves, it is best to remove the flowering stems as they form. Active Ingredient and Substances: The main active ingredient found in cicily is the essential oil that contains anethole, sesquiterpenes (germacrene-D, beta-caryophylllen), limonene, alpha-pinene, alpha-farnesene and myrcene. In addition, the plant contains flavonoids (luteolin) and apigenin glycosides. It is the substance anethole that is responsible for the distinctive anise taste and the smell of the plant. This substance is also found present in fennel, anise and star anise. Cicely is rarely used in modern herbal medicine but has been valued as a medicinal herb in folk medicine for a long time. The herb has great nutritional value and is supposedly good for digestion. The fruits, roots or leaves have been used to enhance appetite, as a mild disinfectant, and to reduce the formation of intestinal gas. In old herbal medicine books it is stated that the roots and leaves can been given as a general tonic for the elderly, and extracts of the herb could also counteract anemia in adolescent girls. In earlier times, the herb was considered an effective “blood purifier” and an ointment made from the root was applied to all kinds of wounds to promote healing. 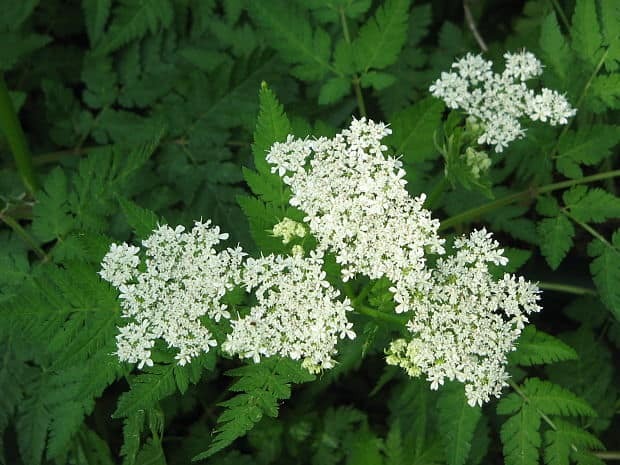 Additionally, cicely was used during the Middle Ages as protection against the plague and a decoction made from the root was applied as a treatment for snakes bites. The herb has a weak diuretic and laxative properties. Furthermore, it is thought to have an expectorant and antispasmodic effect and is considered to have blood pressure lowering properties. Cicely has been used traditionally as a treatment for a cough, asthma and shortness of breath due to various lung ailments and the dried leaves were sometimes smoked in the same way as tobacco to promote expectoration of phlegm. 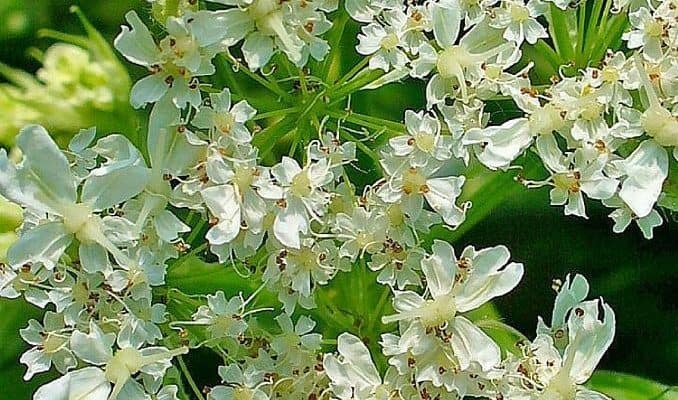 An extract made from the roots and seeds has been used for the treatment of a sore throat and chest pain, as well as a remedy for bladder problems. In folk medicine, the crushed fresh leaves were used as an external remedy for pain associated with gout and rheumatism. An herbal tea was also made from the leaves to promote sleep. The leaves are best used when fresh since they tend to lose a lot of their flavor when dried. The leaves can be eaten whole, or finely chopped and added to salads, herbal butter, and omelets. They can also be cooked as a vegetable, but when boiled much of the anise-like flavor is lost. 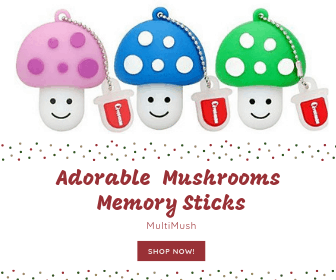 Additionally, they can be used in soups and fish and chicken dishes, as well as to add an extra flavor to fruit desserts. Finely cut leaves can be used as a natural sweetener for diabetics or others who want to reduce the intake of sugar. Green and unripe fruits have a very strong, sweet flavor, and can be chopped and used in salads or used as a natural sweetener in whipped cream, ice cream, and puddings. A herbal tea can be made from the fresh leaves and unripe fruits or they can be added as flavorings to liqueurs. The taproots are also edible and may be peeled, sliced, and served raw in salads, with vinaigrette, pickled or steamed and buttered like carrots or parsnips. The crushed fruits have been used to polish wooden furniture for extra aroma and shine. The ripe, brown seeds can also be crushed and mixed in potpourri as a fragrances fixer. There is no know standard dosage for this herb. If cicely is intended for use as a herbal medicine, a trained herbalist should be consulted prior to use. As of yet any information on the possible side effects or interaction of cicely is lacking but it is usually regarded as a safe herb to use, be it as spice, food or medicine. Brickell, C. & Zuk, J., Editors-in-Chief: The American Horticultural Society A-Z Encyclopedia of Garden Plants. First American Edition. DK Publishing. New York. Griffiths, Mark: Index of Garden Plants. Timber Press. Portland 1994.